SANCCOB is involved in numerous marine conservation projects, many of them in collaboration with our partners in conservation, locally and internationally. All our projects strive to contribute towards healthy, wild seabird populations through rehabilitation and research, and by raising awareness of marine life and the environment it depends on. 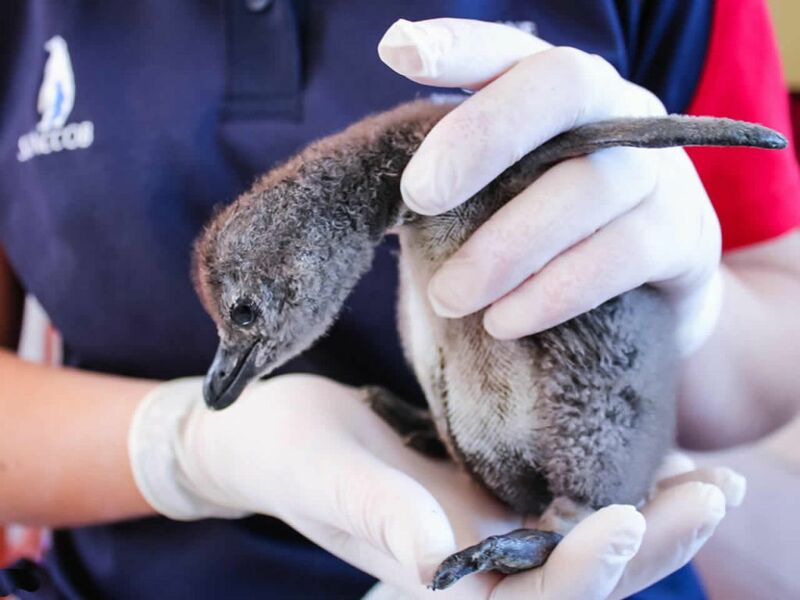 ick and injured seabirds are either collected by SANCCOB staff following notifications from the public … or brought directly to one of our Centres by a member of the public. 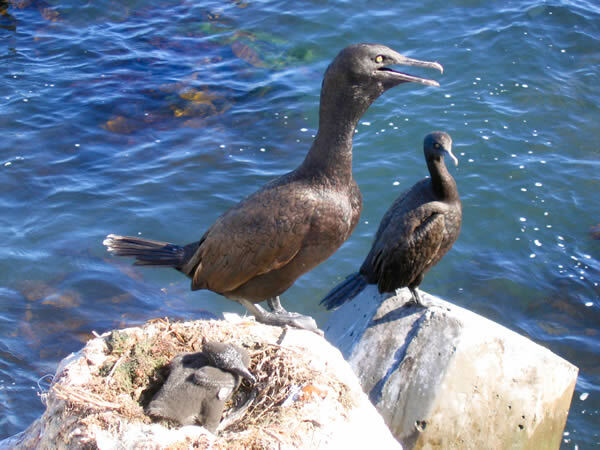 We also work with SANParks, CapeNature and Robben Island Museum Colony Managers who monitor established seabird nesting sites and identify abandoned chicks and eggs. In emergency situations, such as a major oil spill, our 24 hour rescue service is augmented by teams of trained volunteers. Once admitted to one of our centres, staff stabilise, diagnose and treat the bird. Diagnostic tools include clinical examination, clinical chemistry, haematology, radiography, endoscopy and various other tests. Our Cape Town centre has an operating theatre with an X-ray facility, suction unit and anaesthetic machine, whilst the Eastern Cape centre makes use of an external veterinary practice. We are able to treat a wide variety of cases, including lung and air sac infections, fractured limbs, lacerations, bite wounds, eye problems and systemic diseases. Both centres are well equipped with an admissions room, intensive care unit (ICU), pen areas (capacity 1500 birds in Cape town and 350 in Cape St Francis), resident pen area, exercise pools, food preparation and aviary pens (capacity 80 flying birds in Cape Town and 20 in Cape St Francis) nebuliser pen, post-mortem room, surgery and washing area for oiled birds. 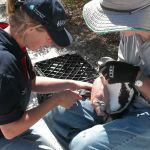 Rehabilitation comprises a specific feeding, swimming, medication and treatment schedule for each seabird patient. Depending on the nature of injury, or illness, birds usually spend between 4-16 weeks undergoing rehabilitation before being released back into the wild. During their rehabilitation, veterinary staff test and grade the birds weekly on their health, blood results, weight and the waterproofing on their feathers. 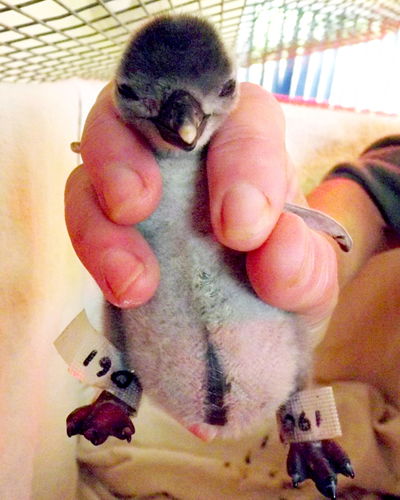 Before release, each penguin receives an implanted transponder for research and monitoring purposes. In the case of a mortality or death on arrival, a post-mortem is performed to assess cause of death, to further disease-related studies and to gain understanding of causes of mortality in the wild. The Rehabilitation Programme currently has 16 full-time employees (of which three are qualified veterinarians) and no less than 20 local and international volunteers and interns at any given time. 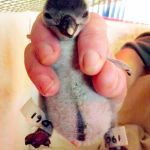 This multi-partner project contributes towards saving the endangered African penguin, through bolstering abandoned and weak chicks and rearing chicks from eggs. 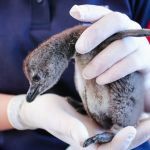 Part of the project is the establishment of a first-ever Chick Rearing Unit (CRU) at SANCCOB in Cape Town, to build local expertise in hand-rearing abandoned African penguin chicks from eggs. Officially opened in November 2011, the CRU is a culmination of extensive research and affirms our commitment to stop the decline of this highly endangered species. 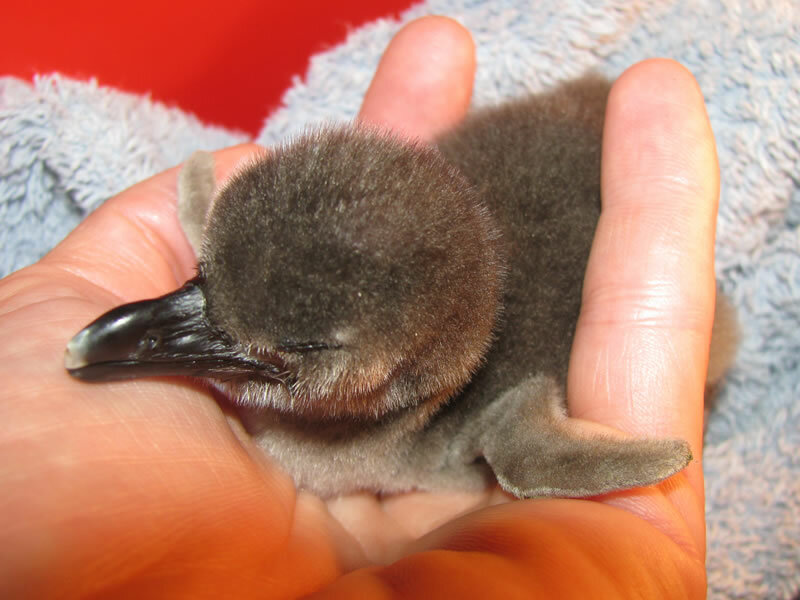 Since the project’s inception in 2006, SANCCOB has successfully released more than 4000 chicks back into the wild. 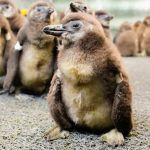 Independent research confirms that the survival rates for these hand-reared penguins are similar to that of naturally-reared birds, making it an effective conservation intervention. Project partners: SANCCOB (project administrators), Bristol Zoological Society, the Animal Demography Unit (University of Cape Town), South African Department of Environmental Affairs (Oceans and Coasts), CapeNature, Robben Island Museum, South African National Parks. 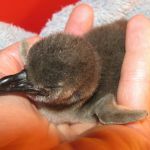 As an ongoing initiative, the Chick Bolstering Project has several fundable components, including costs associated with rescuing and rearing chicks during periods of mass abandonment, the funding of tracking devices, and research into the viability of establishing an artificial colony for African penguins along the South African coast line. 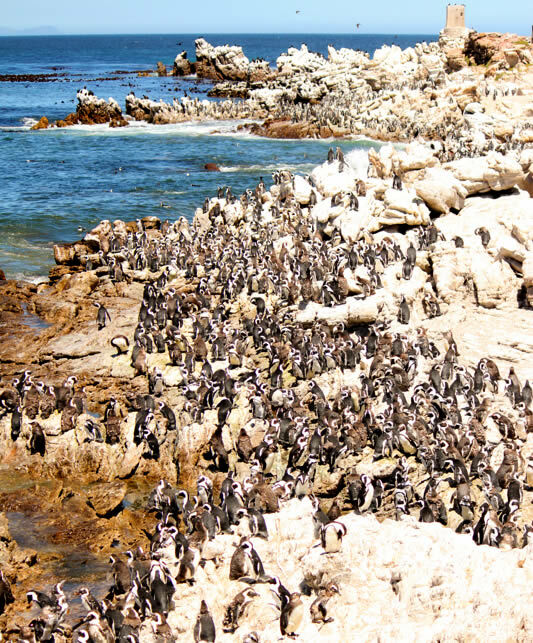 The five primary African penguin breeding colonies in the Western Cape are Dassen Island, Robben Island, Boulders Beach, Stony Point and Dyer Island. Of these, the African penguin colony at Stony Point in Betty’s Bay is the only colony that is showing measurable signs of increase, and currently supports more pairs of African penguins than the three coastal islands in the Western Cape combined, which were traditional ‘strongholds’ of African penguins and other breeding seabirds. The colony at Stony Point is thus of national, as well as international conservation significance for the species. The Stony Point Penguin Ranger Project benefits endangered African penguins by taking direct, rehabilitation-focused, conservation action to bolster the wild population. 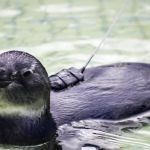 The intervention forms part of the Biodiversity Management Plan for African penguins (BMP) which sets out the South African conservation strategy for the species. The BMP is gazetted at government level to ensure that the species is holistically managed and steps put in place to mitigate threats to the survival of the species. Rescue ill, injured, oiled and abandoned African penguins and penguin eggs and ensure that they are admitted to SANCCOB efficiently. 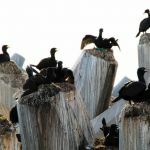 The Bank Cormorant Project is a new initiative aimed at ensuring the future of this endangered species (Southern African population 2600 breeding pairs) through a multi-pronged approach. 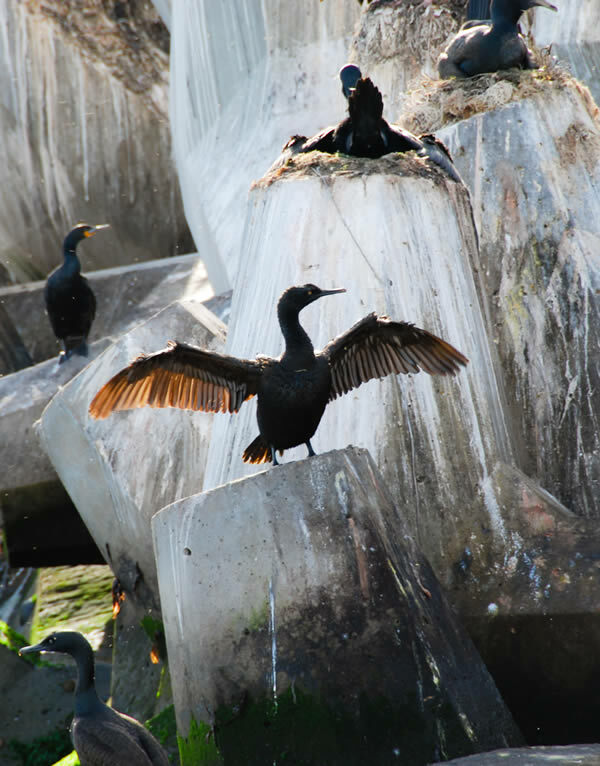 This includes improving rehabilitation rates, building breeding platforms and undertaking disease surveillance, while developing techniques to release captive-bred Bank cormorants into the wild, utilising lessons learned from the organisation’s well-established Chick Rearing Unit. Project partners: SANCCOB, Living Coasts and the Whitely Wildlife Foundation. Whilst the established African penguin colony at Boulder’s Beach in Simon’s Town falls under the protection of SANParks, right next door a group of penguins are breeding on unprotected public land. 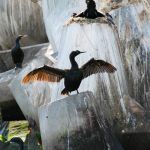 The Burgher’s Walk Restoration Project is a co-ordinated plan to protect these birds from curious members of the public, dogs and other domestic animals, and from being run over by cars travelling along the road above the site. Penguin Rangers are a key component of the project and play a pivotal role in the rehabilitation chain of African penguins. 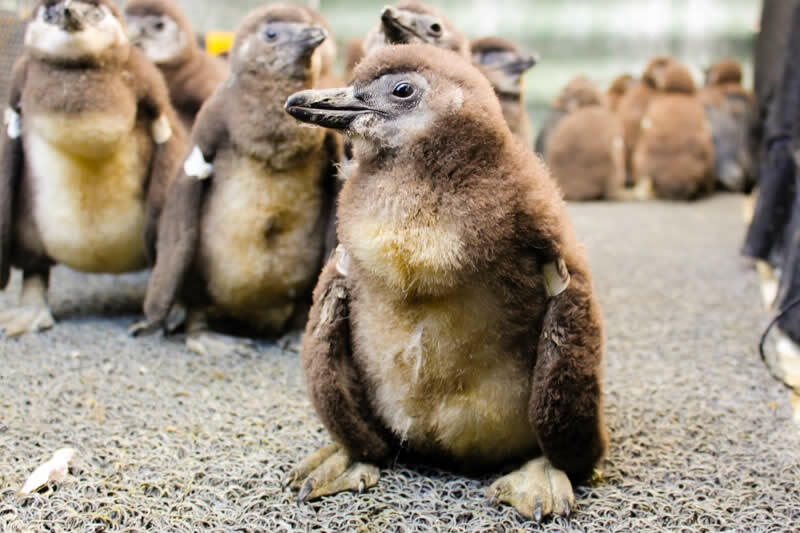 The project currently employs four Penguin Rangers, many of whom are from previously disadvantaged backgrounds. They receive a two-week seabird handling and feeding course at SANCCOB (in addition to the regular ranger training offered by SANParks) and are sponsored through SANCCOB’s fundraising efforts. 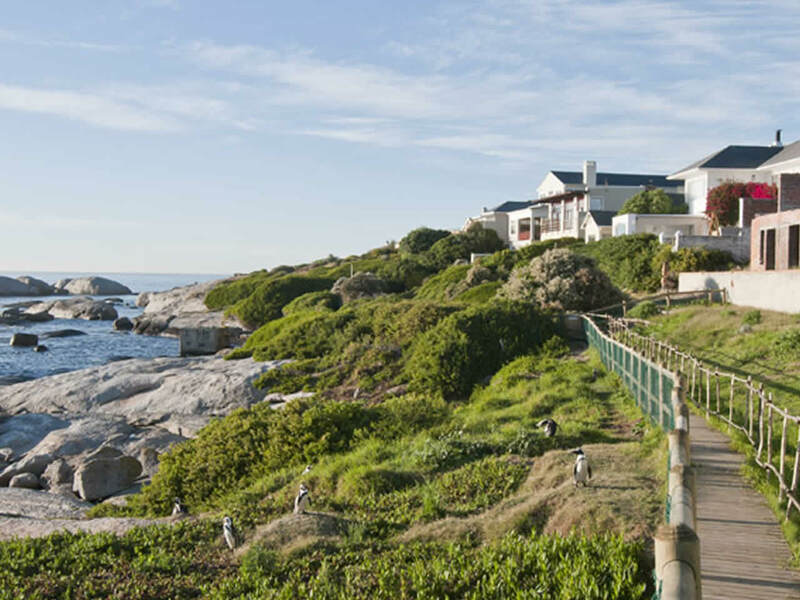 Funding goes towards the management of the terrain, the rehabilitation of penguins at SANCCOB, the salaries of 4 penguin monitors, and the upkeep of the fencing and path. 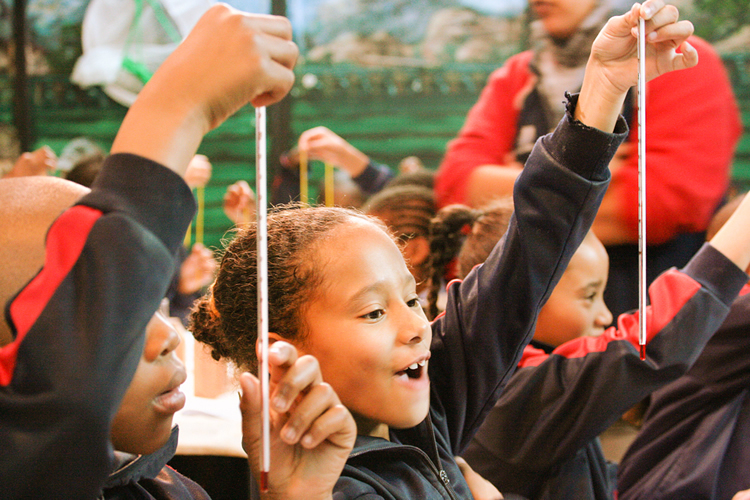 In an ever-changing curriculum environment and with many South African schools being poorly equipped to present environmental education lessons, there are many learners leaving the school system without being introduced or exposed to environmental themes. 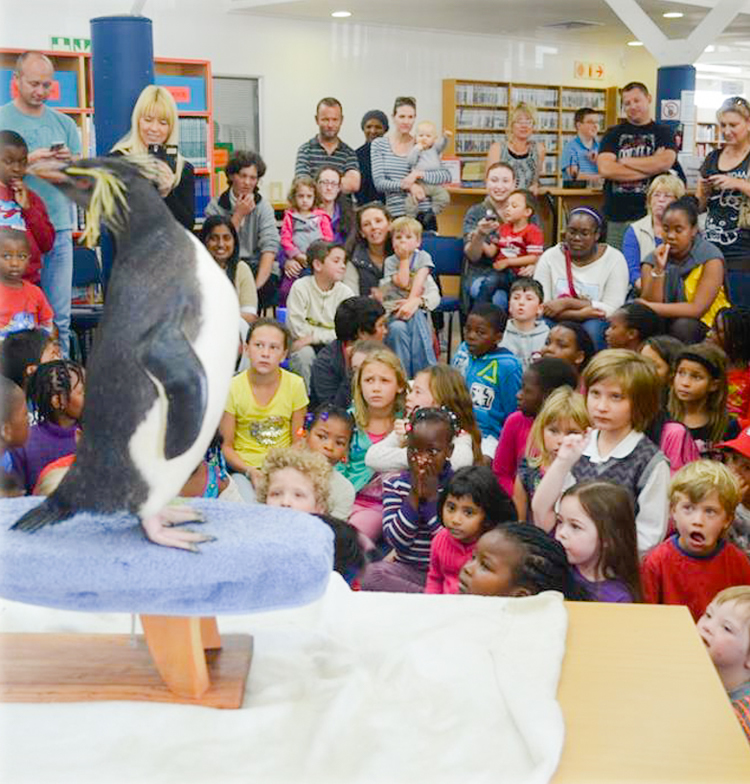 The annual library environmental education programme, targeted at 15 select libraries in previously disadvantaged communities in the Western Cape, aims to educate learners in their formative years about seabirds and the marine environment through educational lessons, arts-and-crafts and storytelling. Fifteen libraries located in poorly resourced communities are visited during the annual school holidays, and promotional material is sent out in advance to ensure that people are aware of the upcoming programme. An average of 40 to 50 learners and members of the public visit each library. Over the last three years SANCCOB has been working with Special Education Needs Schools (LSEN schools). a guided bird-watching excursion to the Rietvlei Nature Reserve (situated next to SANCCOB). 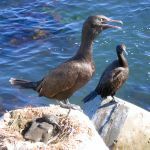 make seabirds more accessible to previously disadvantaged learners. The health and pathology research conducted at SANCCOB is ongoing and currently involves data collection, analysis, write-up and publication of data and work that has been done in the last 15 years at SANCCOB. 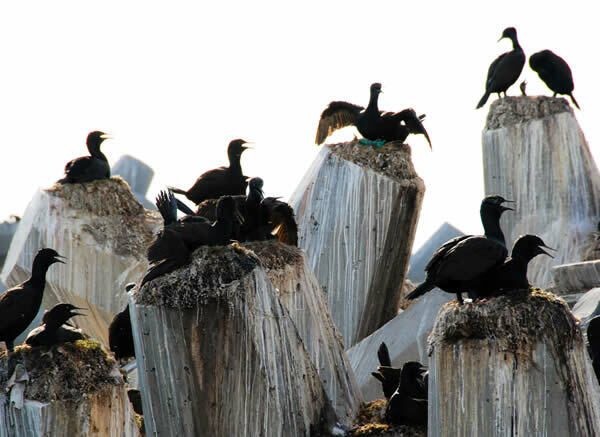 This work functions as passive disease surveillance as well as providing information for evaluating disease risk to the seabird populations. Dr Nola Parsons, a qualified veterinarian with a PhD qualification in Zoology, is currently employed as the Researcher at SANCCOB. 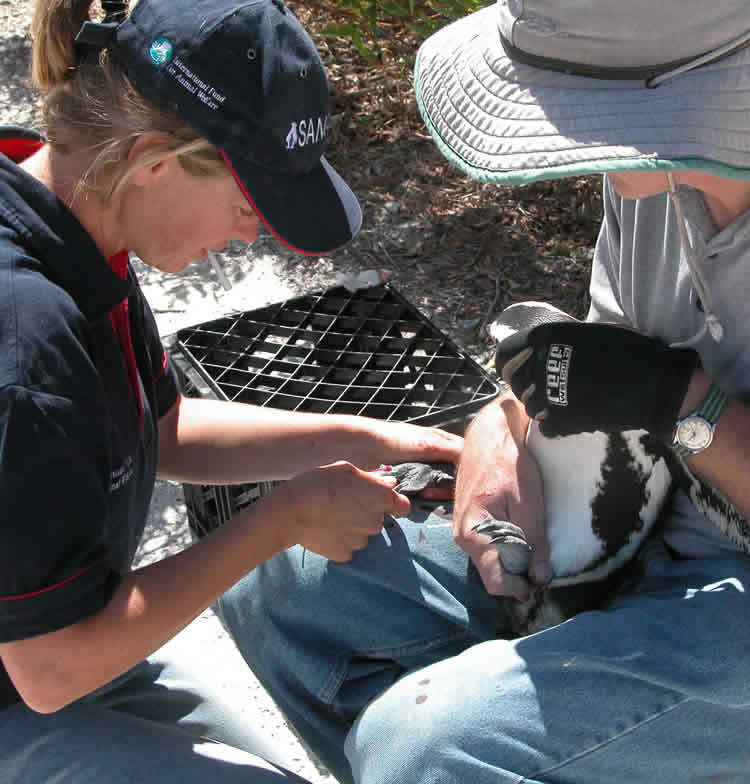 From 2010-2013, Dr Parsons conducted the Seabird Health Survey Project at SANCCOB. 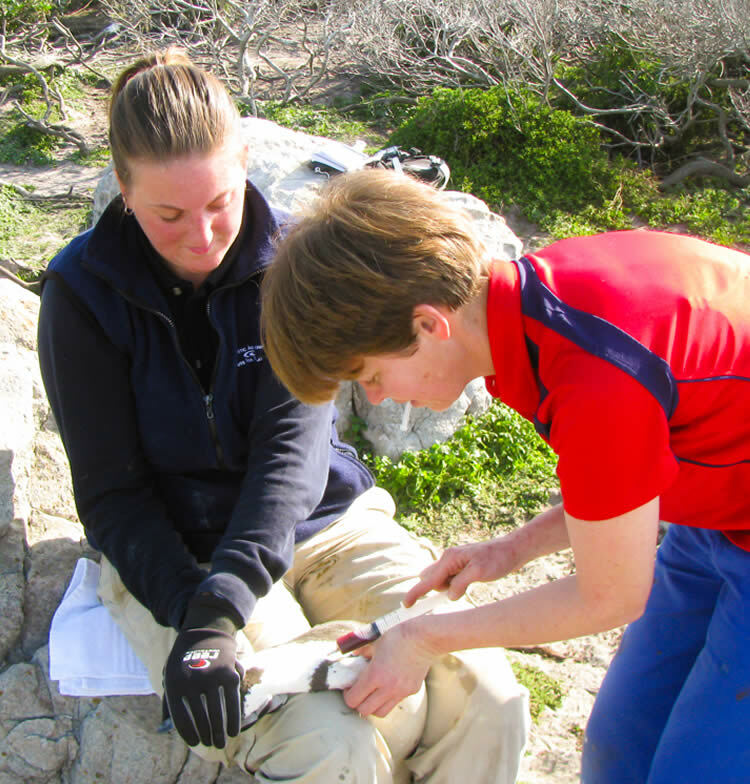 Her research interest lies with health and pathology of southern African seabirds, especially relating to the conservation of these species and is well published in this field. 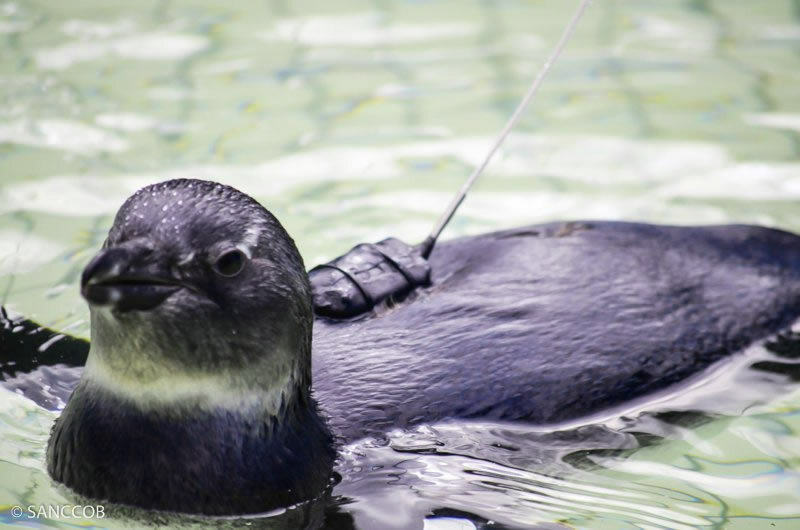 Submission of several manuscripts (including: a statistical study into the various indicators that affect the outcome of rehabilitation of the African penguin, blood parasite prevalence in seabirds admitted for rehabilitation and a study of causes of death at an African penguin colony). Whether you give money, time or talent, your contribution is needed today to help save endangered seabirds like the African penguin, Bank cormorant and Cape Cormorant.